Kia (UK) and British Car Auctions are combining to offer buyers a real bargain with a sale of 20 part-exchange cars without reserve at the Measham Auction centre on Friday, 5th March at 10.00 am. What's speciali is that all the cars have been ‘pimped’ by Kia dealers to the highest standards and will come with a minimum of six months MOT. Even better, all the money raised will go to Red Nose Day, with Kia and its dealer network donating the cars, and BCA donating its services to sell them. 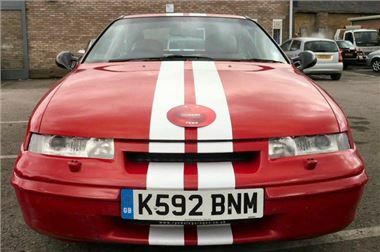 Kia and its dealer network have gathered together a great selection of bargain motors and every single one will be sold on the day to the highest bidder – whether it is for £10 or £10,000.